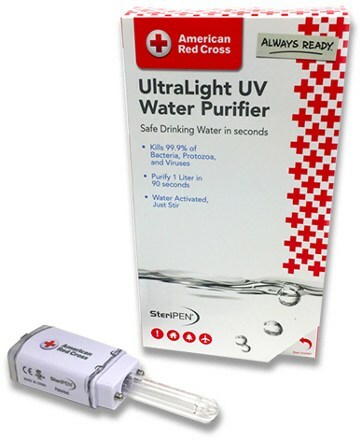 Steripen American Red Cross Ultralight UV Water Purifier - The Steripen American Red Cross Ultralight UV Water Purifier is compact and perfect for travel, emergency preparedness or anytime. It's easy to use with water activated programming and produces 1 liter of purified water in 90 seconds. 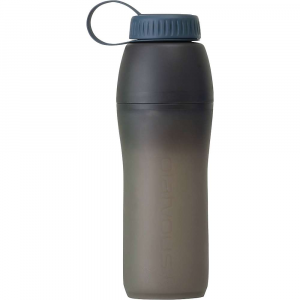 It can treat 20 liters of water from its rechargeable battery. Put the power of UV light in your pocket and have safe drinking water anywhere your hotel room, a restaurant, at home, or in the wild. 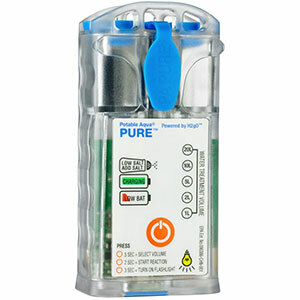 PURE+ is small, lightweight, and full featured making it the perfect UV water purifier for travelers and adventurers. PURE+ features a 5,000-treatment lamp that uses ultraviolet light to destroy over 99.9% of bacteria, viruses, and protozoa. Internal USB rechargeable batteries allow you to power up just about anywhere: from a wall outlet, a computer, or a portable solar panel. 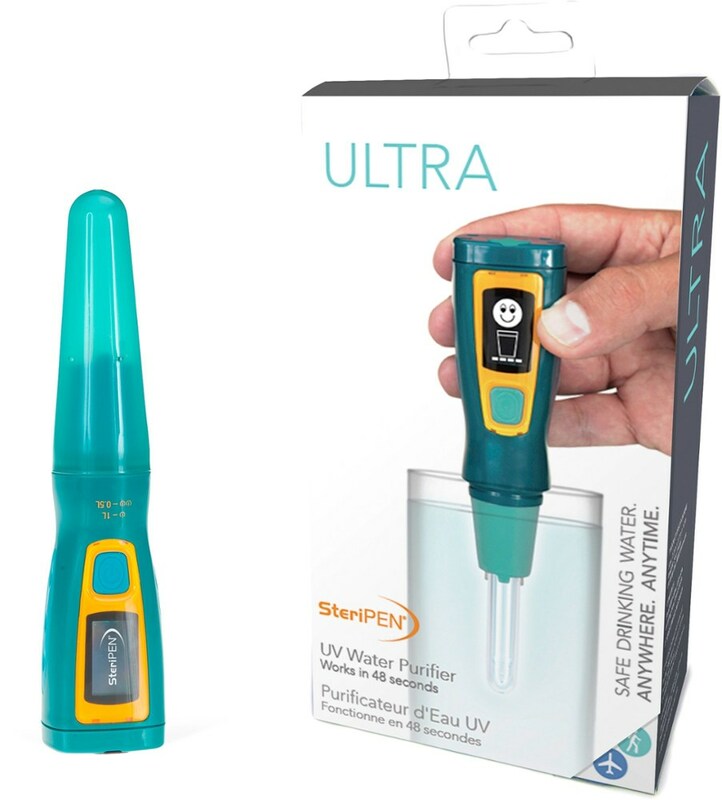 Pure+ provides safe, clean water by using Ultra violate light to destroy over 99.9% of bacteria, viruses, and protozoa. 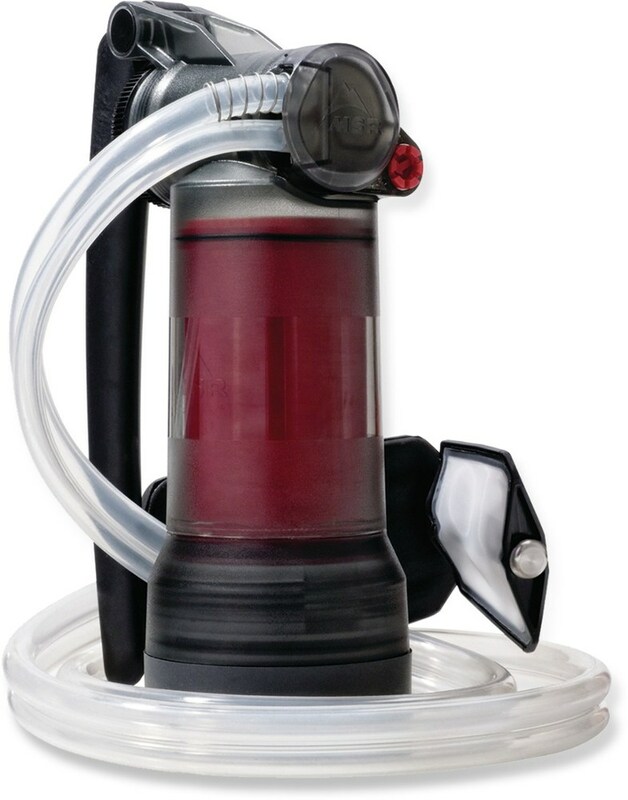 Whether you're backpacking after a short drive from home or traipsing across a foreign country, the SteriPEN American Red Cross Ultralight Purifier more than earns its spot in your pack. 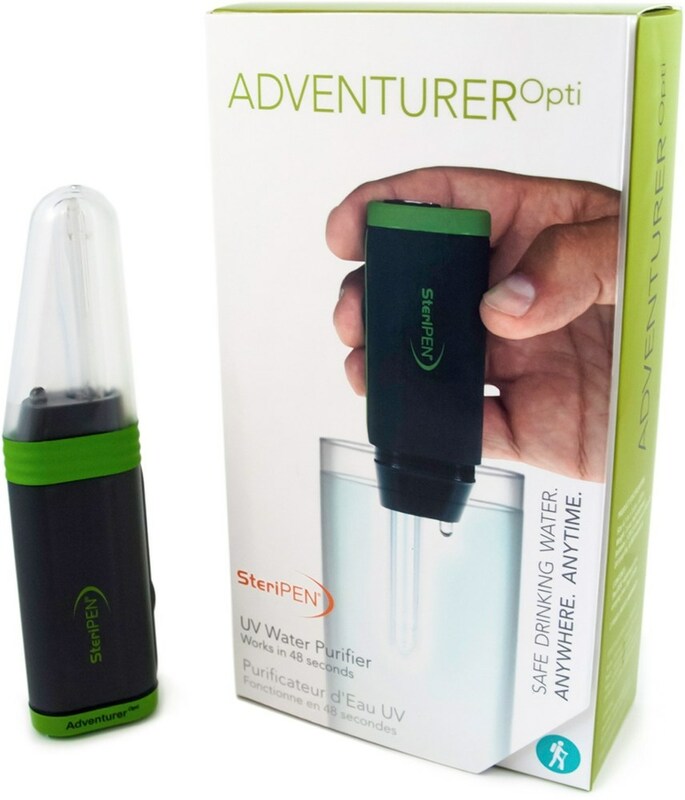 This ultralight gadget adds less than 3 ounces to your load, but cleans up to 20 liter--eliminating bacteria, protozoa, and viruses using UV light before you need to recharge its battery. A USB cable makes it easy to recharge whenever you get back to electricity. The light lasts for a full 80000 activations, so you can be sure it'll function for adventure after adventure.